To book a table, please phone 01796 483714 or e-mail thestruan.calvine@btinternet.com. Sorry - no dogs (except for assistance dogs) are permitted inside the building. 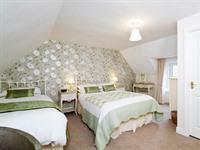 Double/Twin rooms are available in April from just £55 per night B&B based on two sharing. Family Rooms are also discounted. A great offer, so book now to avoid disappointment! HotelsCombined, the Australian-based hotel meta-search company, has started an extensive survey covering different types of accommodations within United Kingdom. This survey is based on gathering data from millions of guest reviews, and translating them to an official Recognition of Excellence. The HotelsCombined Recognition of Excellence is not a ranking list but a group of outstanding accommodations chosen based on a strict set of criteria. 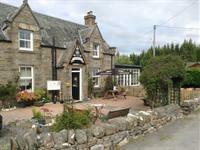 The Struan Inn boasts a high satisfaction rating among guests and travel industry experts, receiving 196 reviews for an impressive rating of 9.3 out of 10. 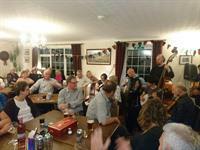 A great night was had by all at our annual Bothy Nicht on the 27th October. Thank you to everyone who took part, donated raffle prizes and for all who came along to support the event. 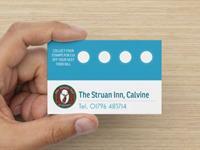 Our Loyalty Card scheme is running again. Collect four stamps and get £10 off your next meal (terms and conditions apply). Please ask at the Bar. 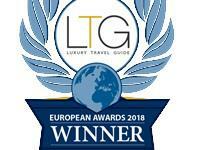 We are delighted to announce that the Struan Inn has been awarded Luxury Boutique Hotel of the Year 2018 for Perth & Kinross by the Luxury Travel Guide. This is a great honour indeed. Well done to the team! Why not let us do the driving and enjoy a dram or two with your meal! 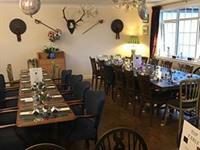 Looking for a venue for a party or get-together? Please call us on 01796 483714 for more information. We recommend that at least a week's notice is given for party bookings to ensure availability. 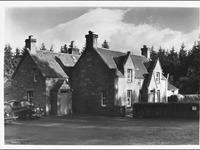 Does anyone have any photographs of the Struan Inn from years gone by? We are building up a collection of photos that we are planning to put on display in the Restaurant. So far we have some photos from Perth Museum from 1905 and 1915 (and some of Bob and friends from more recent times....!) but we would like to add to these. If you have anything that might be of interest, please e-mail us at thestruan.calvine@btinternet.com.